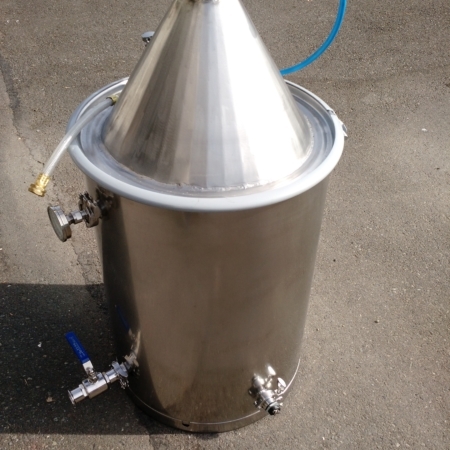 You can use this as a mash tun, or a distilling pot. 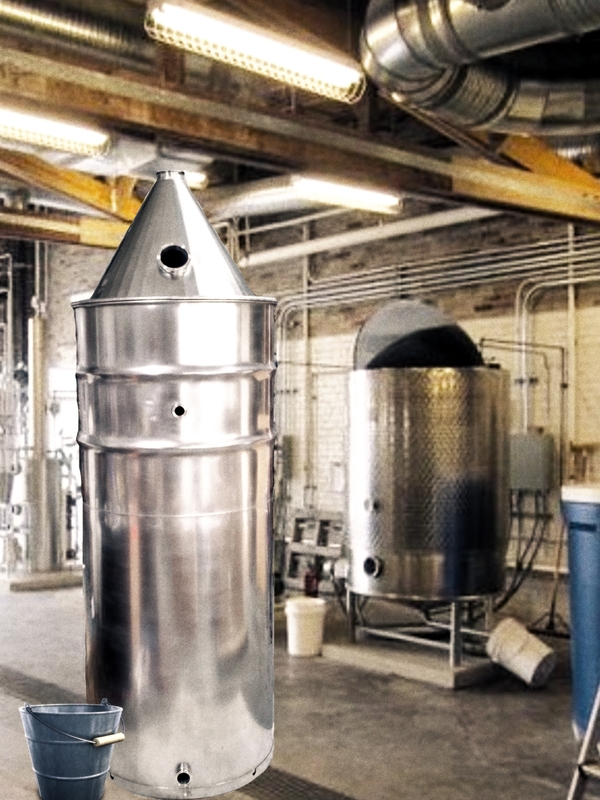 This is 210 Gallon boiler, SS with fully removable conical top. 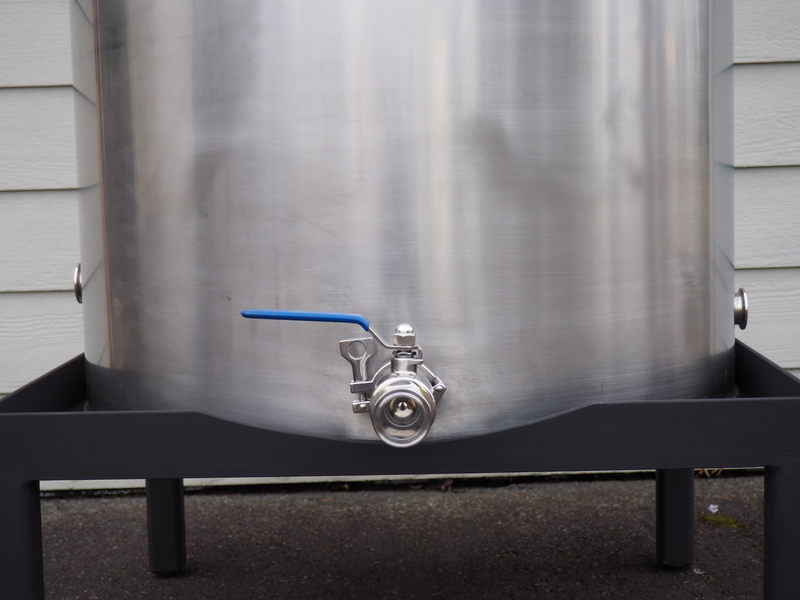 As with any of our stills we can change which fittings yours comes with. 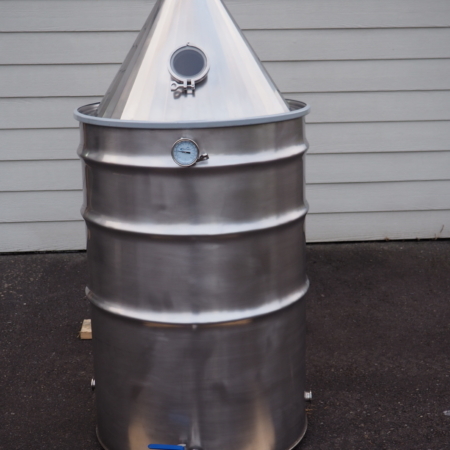 This one normally comes with a four inch window on the conical lid, heating elements, a drain, a ball valve and thermometer. The heating elements for this boiler are recommended to be minimum of three 5500 watt elements, though we are more than happy to add more. This is tailored for micro-distilleries. 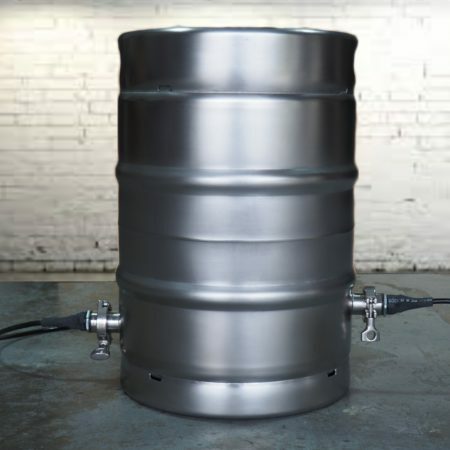 All of our barrels are food grade stainless steel. 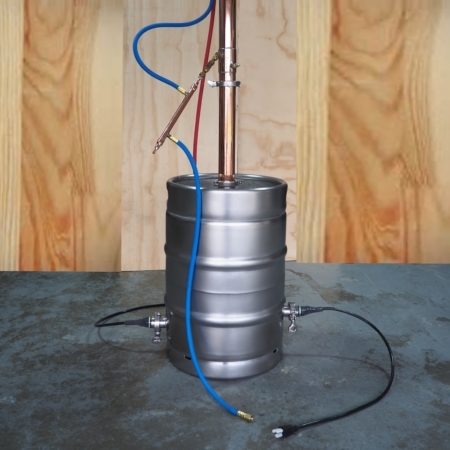 We also sell a stand we make special for our boilers to make sure you can heat using propane as well.